When it comes to wine in the United States, few regions rank as highly as the Santa Cruz Mountains Appellation area. This part of California is known for producing some of the very best American wines, with the area's unique microclimate helping to provide the perfect conditions for grape growth. The days around Santa Cruz are often warm, with a lot of sunshine, while the nights are moist and cool. The soil is particularly rich in minerals and nutrients too. In short, this area was made to make wine. Therefore, it's no surprise that the Santa Cruz region has dozens of different wineries and a long list of high class, great quality bottles being produced every single year. The full region covers an area of more than 800 square miles, and there are Santa Cruz wineries all around this area, so wine connoisseurs and appreciators often have a lot of fun traveling around and visiting some of the best wineries. What's more, the Santa Cruz region retains the laid-back, friendly attitude that so much of California is known for; you won't find many wine snobs or pretentious tasting rooms here. This means that everyone, from a sommelier-in-training to a casual wine fan, can visit a Santa Cruz winery and have a great time, feeling completely welcome and tasting some of the best wines the region has to offer. There are plenty of excellent wineries to be found all around the Santa Cruz region. Here are some details on a few of the very best. Situated on a lovely stretch of land down in the Corralitos foothills of the Santa Cruz Mountains, Nicholson Vineyards has been owned and operated by the same family for many generations now. Producing some especially delicious and elaborate Chardonnay and Pinot Noir, Nicholson Vineyards also makes an excellent olive oil. The friendly family staff will only be too happy to welcome you onto their land for some tastings and stories about the vineyard and local area. This Santa Cruz winery opens up every Saturday for guests, with tastings taking place outside on the lawn, looking out over the land. The tastings are aslo very nicely priced here; for just $10, you can try five specialty wines, or increase that price to $15 for five estate/reserve wines. If you happen to buy a couple of bottles, you'll fee will be refunded entirely. You'll feel like you've been transported to the shores of Honolulu as you step inside MJA Vineyards, one of the Santa Cruz area's best rated and most beloved wineries. This winery is named after its owner, Marin John Artukovich. MJA used to live and work in Hawaii, growing coffee, but decided to bring that same love and passion, as well as a little 'Aloha spirit' into the creation of wine. More than 8,000 cases are produced every single year and the wines here are priced very fairly and attractively. Not only that, but MJA offers one of the strongest selections of any Santa Cruz winery, with everything from Bordeaux blends to Sauvignon Blanc wines and dessert wines. You'll want to sign up for wine club membership and order yourself a 'Big Kahuna' package once you've tried some of these wonderful wines. Beauregard Vineyards is one of the oldest wineries in Santa Cruz, having first been established in 1945. The same family have owned and operated this winery for many decades know and they know the ins and outs of the land better than anyone else. There's no real specialty at Beauregard as this winery excels with many different grapes and wines including Zinfandel, Cabernet Sauvignon, and Pinot Noir. You'll even find Orange Wine and Apple Wine here if you're looking to try something different. A visit to this winery can be enjoyed on any day of the week, with the tasting room being open from 10am to 5pm. You only have to buy a single bottle to bypass the tasting fee, so it's definitely worth taking at least one of Beauregard's creations home with you. 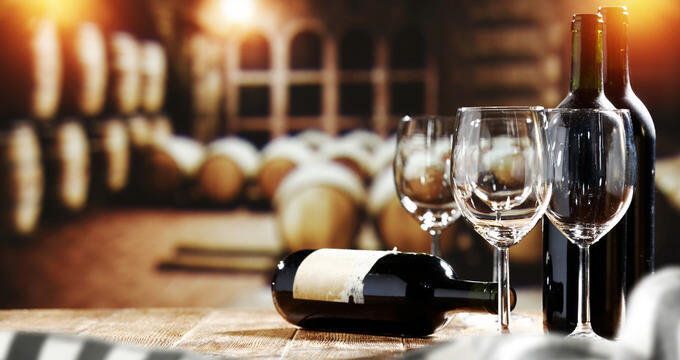 You might even choose to sign up for the wine club, which offers a lot of great packages and some excellent benefits. One of the best-known names in the California wine industry, Ridge Vineyards made its first vintage back in 1962 and has only gotten better and bigger over the years. The 1971 Monte Bello Cabernet Sauvignon won international awards, and the winery's Chardonny and Zinfandel wines have been hugely popular over the years as well. This is a very well-established Santa Cruz winery and an example for all others to try and emulate. Ridge Vineyards is one of the very best wineries in all of North America, so it's a must-visit location for anyone in Santa Cruz. Tastings are organized on Saturdays and Sundays, but you can call up and make a private weekday reservation if you wish. There are three different tasting experiences, starting at $10 and going up to $25, with the more expensive option including a tasting of the winery's finest creation, the Monte Bello.